PEACE BEGINS IN HWACHEON; THE WORLD PEACE BELL PARK: flags bearing these words adorned lampposts at the site for the 10th Annual Meeting of the Peace Council, in Hwacheon County (Gangwon Province), South Korea, this past October 28-November 2, 2007. You might be surprised to hear that peace could begin in a small place you have probably never heard of, but Hwacheon is "a little place with a big vision," according to Daniel Gomez-Ibanez. Hwacheon County, in the northern part of South Korea, just below the DMZ, is an area which saw some of the most intense fighting of the Korean War, and people there have good reason to know the meaning and value of peace. Soldiers in camouflage uniforms are a frequent sight in the area, and on the roads you periodically see high stacks of huge concrete blocks poised to be toppled by explosives in order to impede an invasion from the North. The town (and county seat) of Hwacheon has 25,000 citizens, and there are 35,000 soldiers in the area. 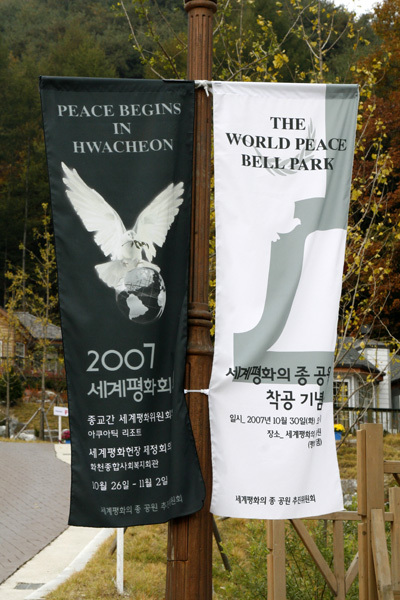 The World Peace Bell Park project started in 2005 with an idea of Mr. Jeong Gap-cheol, the elected executive of Hwacheon County. The Peace Bell, which will hang in the park, is to be cast next year from spent bullets and shells from many of the world's armed conflicts. The ground-breaking for the park, located northeast of the town of Hwacheon, took place on October 30, 2007, and the dedication of the park provided the occasion for the gathering of the Peace Councilors, so that they might lend their support and recognition to this event. The meeting of the Peace Council was hosted and generously sponsored by the County of Hwacheon. The hosting Peace Councilor was Dr. Chung Hyun-Kyung. As far back as 1997, Dr. Chung (originally from Seoul, now a professor at Union Theological Seminary in New York) had asked the Peace Council to do something to help her divided country. A visit to Hwacheon County by Dr. Chung early in 2005 led to a serendipitous convergence between herself, Mr. Jeong, and Dr. Kim Yong-Bock (Chancellor, Asia Pacific Graduate School for Integral Study of Life, in Seoul), who provided the philosophical underpinnings of the peace bell park project. Hwacheon County wanted to invite spiritual leaders like the Peace Councilors to be present at the groundbreaking ceremony for the peace bell park. Dr. Chung's fortuitous meeting with Mr. Jeong ultimately made the Peace Council's meeting possible. For the groundbreaking ceremony, at the request of Hwacheon County, some of the Peace Councilors brought spent bullets with them to contribute to the peace bell: Rev. Marcus Braybrooke presented bullets used by British police. Bishop Samuel Ruiz-Garcia brought bullets from the 1968 student rebellion in Mexico. Rabbi Levi Weiman-Kelman brought spent bullets provided by his son, who was in the Israeli Army as a paramedic during the fighting with Lebanon this past year. The county had also asked for bells. Knowing that it would be difficult if not impossible to get spent shells out of Northern Ireland, Mairead Maguire brought a bell, from the Ardoyne area of Belfast, in Northern Ireland. The bell had been used for more than 100 years to call the monks and nuns to silence. Rev. Braybrooke and his wife Mary also brought a bell from Israel. (For a personal account by Rev. Braybrooke, see Shells Into Bells.) Both the bullets and the bells were presented to Hwacheon's executive, Mr. Jeong, as part of a lavish ceremony for the groundbreaking of the new park. After speeches, the presentations of bullets and bells, and entertainment such as local children playing Western songs on handbells, Peace Councilors, trustees, and friends took part in digging the first symbolic shovelfuls of dirt for the park, and in setting off a fireworks display. As at past meetings, one of the greatest values of this meeting was the Peace Councilors' being able to come to a place of conflict and gather information and impressions about the conflict area. As part of that process, they visited a lookout over the DMZ, where with the help of a large diorama, a video, and the views of the landscape itself, a soldier spoke at some length about the conditions of manning the DMZ. 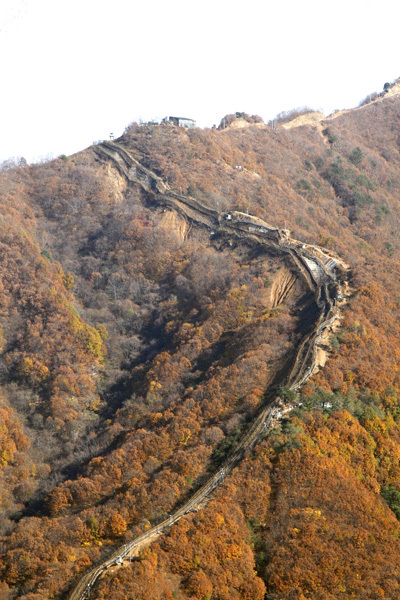 (The photo shows the south fence at the DMZ.) On the bus trip through the mountainous civilian control area near the DMZ, they saw the area that had been fought over so fiercely, including Lake Paroho, where many thousands of South Korean, North Korean, Chinese and U.S. soldiers died. The guide on the bus through this now peaceful wilderness explained that despite its beauty, the soil in the area remains contaminated by all the explosions of shells during the war, not to mention the landmines that still remain. When asked whether South Korean citizens are allowed to visit North Korea, or write letters directly to family members there, the guide exclaimed emphatically "No way!" Families have been divided for more than 50 years since the war, and many people have ended up remarrying, which will make for complications if reunification comes. The Peace Councilors also visited the incongruously named "Peace Dam," erected by the South Koreans as a means of blocking possible flooding caused by damage to a dam in North Korea. In addition to these visits, the Peace Councilors and trustees heard presentations from wildlife researchers Dr. Han Sungyong (Korean Otter Research Center) and Dr. George Archibald (International Crane Foundation), and Mr. Hall Healy (DMZ Forum), who are interested in turning the DMZ and the civilian control area around it into a wildlife refuge. After the two days of visits, talks, and the ceremony, the Peace Councilors met for a further two days to discuss the future of the Peace Council following the retirement of Daniel Gomez-Ibanez as executive director. 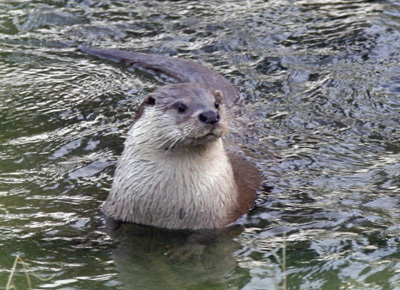 For more information on their decisions, see the 2006-7 Annual Report.